Latvia’s capital feels on the verge of big things. If a few years ago it was the flourishing of Miera iela, Riga’s bohemian quarter, which is still abuzz with new cafés and independent shops, today it is the Sporta2, an up-and-coming creative hub in a former chocolate factory that is drawing crowds. Coupled with the opening of the National Library of Latvia in 2014 and the renovation of the Latvian National Museum in 2016, it feels like there is always something happening in Riga. 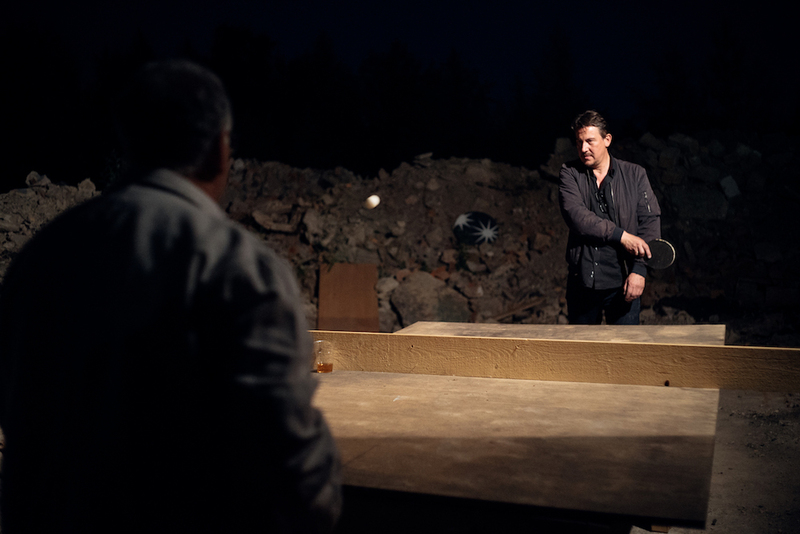 This summer, attention turned to the very first Riga International Biennial of Contemporary Art. “Biennial break” doesn’t quite roll off the tongue the way that “beach holiday” does, but there’s no denying that international art shows like the Venice Biennale and Documenta have become ideal short escapes. Even if you’re an art novice, you can still enjoy the programme and discover more about the Latvian capital at a time when the country is celebrating its centenary. 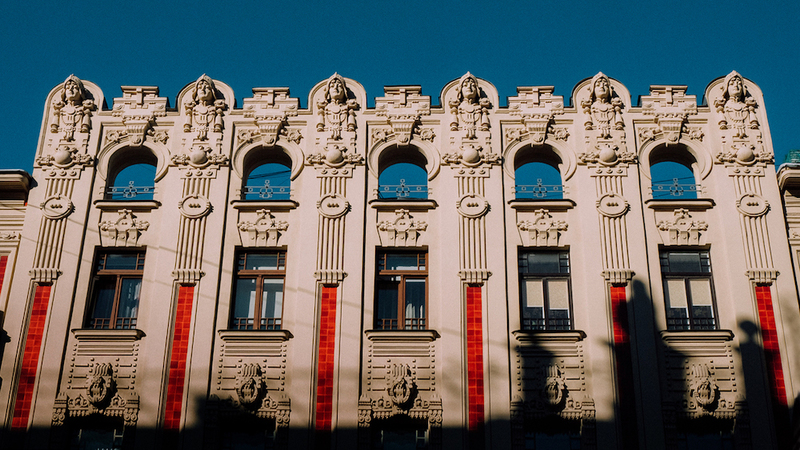 You might already know that the Latvian capital is famous for its Art Nouveau architecture. After meandering the cobblestone lanes of Riga’s medieval Old Town most travel guides will recommend visiting Elizabete iela and Alberta iela — the city’s unofficial Art Nouveau district — to photograph its exuberant facades. Most tourists will skirt the gargantuan Neo-Renaissance style building that sits on the westernmost corner of Kronvalda Park and was previously the Former Faculty of Biology of the University of Latvia. This summer it has been used as one of the central venues for RIBOCA, with contemporary art alongside abandoned laboratories and oddities like beakers, flasks and measuring tubes. Many of the works take inspiration from the building’s former function, such as Green artist Nikos Navridis’s site-specific installation All of old. Nothing else ever… made from the books from the building’s former library. While the Former Faculty is representative of the institutional architecture found in the city, another RIBOCA venue just a short walk away offers a glimpse inside a residential building in Riga’s boulevard area. The house, which once belonged to architect and builder Kristaps Morbergs, one of the wealthiest men in Riga during the 19th century, is opulent: wooden panelling and cornices, all highly embellished with vines and flowers; striking stained glass windows; a tile furnace with protruding figurative sculptures. And in contrast to this old-time elegance, the Biennial also takes you out of central Riga to see the city’s industrial past and future. Part of the exhibition extends to two former factories — Bolshevichka, which served as a spinning mill and weaving workshop located north on the outskirts north of the city, and a cork factory and soon-to-be art centre. The Biennial’s prized architectural gem is probably Dubulti railway station, a modernist structure situated out of town in Jūrmala. This is where holidaymakers used to flock to from all across the USSR. Designed by Igor Jawein and built in 1977, the railway station is a manifestation of socialist efforts to integrate art into the daily life and routine of Latvian people. There are other ways in which RIBOCA encourages you to navigate Riga beyond visiting its venues. The city is drawn on, taken apart and put back together by the Biennial’s participating artists. Artist Katrīna Neiburga uses the city in a literal way: for RIBOCA, she collected man-made objects like tram rails and street lights to create a human-size nest in Kronvalda Park in an homage to her home town. Elsewhere, YBA Michael Landy chose to repurpose one of Riga’s few remaining Soviet-era newspaper kiosks, turning it into a fully functioning shop selling British merchandise such as HP Sauce, “Brexshit” aprons and “Hard Brexit” condoms. As trade negotiations with the EU dwindle into a political circus, business is booming at Landy’s Brexit kiosk. Belgian artist Maarten Vanden Eynde finds artistic inspiration in another existing feature of Riga. 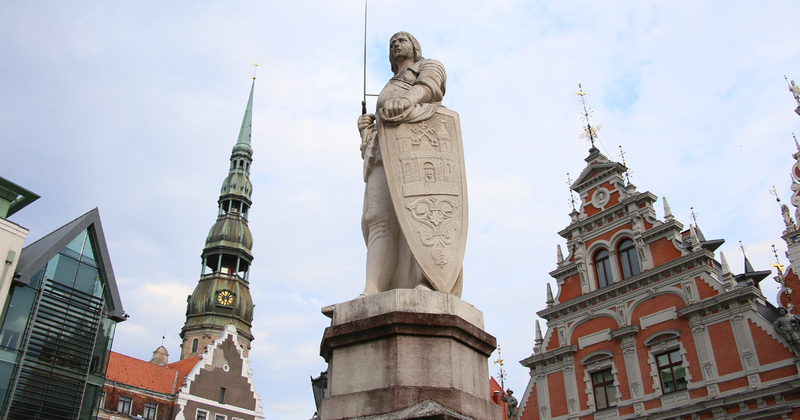 Pinpointing Progress is a sculpture comprising various technological inventions made in Riga, stacked on top of one another. It takes its form from the Bremen Town Musicians monument found in the Old Town; Vanden Eynd’s version is situated in Andrejsala in Riga’s harbour district. Once serving as Riga’s major port, the area was chosen as a site of a major gentrification project in the 2000s that was never completed. As if in reference to this, Vanden Eynde’s sculpture is precarious, as though it could tumble at any moment. 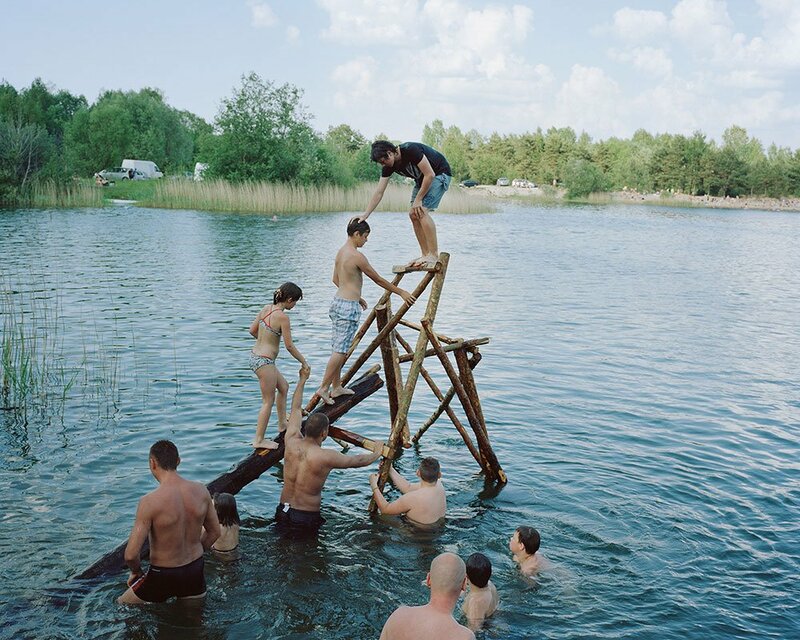 Change is in the air in two newly commissioned photo projects from Estonian artist Eve Kiiler’s — Fenced Garden City: Riga and New Neighbours — that document how Riga’s cityscape is changing to accommodate an influx of residents from abroad. She looks specifically at the controversial development of the Z-Towers twin skyscrapers, capturing the sheer absurdity of their size by turning her lens on the wooden houses that are dwarfed by the new-builds in the surrounding area. While Riga’s population is actually falling, Kiiler’s photos represent the grand yet vacuous investments taking over parts of the city. The average person experiences much of their everyday life through a device or screen. According to scent artist Sissel Tolaas, we need to fine-tune our senses, with smell the most neglected. 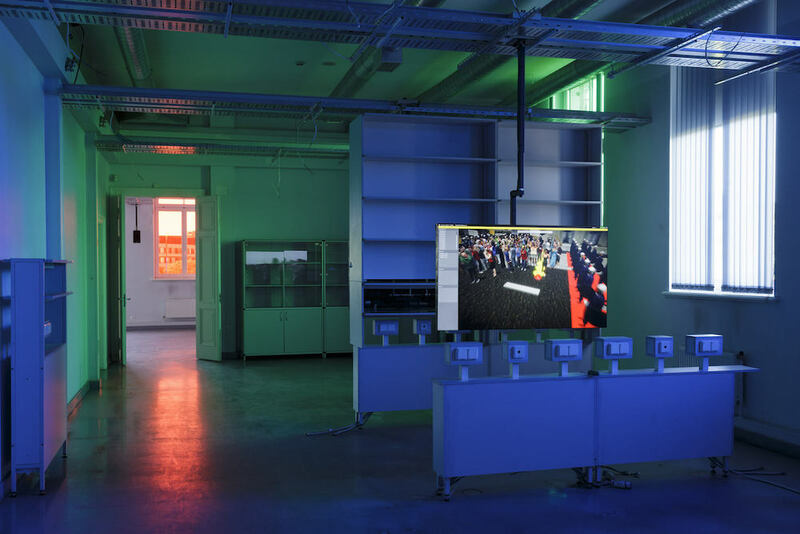 Since the 1990s, the Norwegian-born artist has travelled the world collecting odours, with the purpose of replicating all the places she’s visited in her research lab in Berlin. This archive has been brought to RIBOCA. Her research for her new commission centres on sea smells, specifically those found in the Baltic Sea and the shores of the Gulf of Riga. For this, she enlisted the help of locals to collect samples from the beaches near Jūrmala. If you were hoping to smell rugged cliffs, fresh air and sea salt, then be warned: Tolaas’s Beyond SE(A)nse is a pungent concoction of not only sea smells, but also many kinds of marine pollution. Beyond SE(A)nse is part of The Sensorium: A Laboratory for the Deceleration of Time and a New Politics of the Senses, curated by Solvej Helweg Ovesen. Since biennials tend to focus solely on sight and sound, Ovesen wanted to dedicate the Dubulti station to the further exploration of human perception. If smelling the Baltic Sea isn’t enough for you, Viron Erol Vert has created an immersive installation inspired by amber — 40,000-year-old petrified pine resin that washes up on the Baltic coast. As one of several multidisciplinary artists invited to participate in The Sensorium, Viron Erol Vert wanted to create a respite from the rest of the Biennial and design a space that feels frozen in time. Bathed in a calm amber glow, the artist has created a meditative installation that feels at times like a temple, and other times like a nightclub. Viron Erol Vert collaborated with nine sound artists to create a soundtrack for the space, where visitors are invited to take a seat, socialise and relax. To get the most of the Baltic Sea’s calming properties and round off RIBOCA in style, walk to any of the beaches in Jūrmala and stay till dusk. During the long white nights in summer, the colours of the fading sunset last longer than usual and create a peaceful ending to a jam-packed Biennial. Though one third of the Biennial’s participating artists come from Baltic countries, curator Katerina Gregos wanted to avoid placing them into neat categories. “I have some trouble with the term ‘Baltic Art’ because it seems to infer that art from the region might possess similar characteristics, which is not true,” she told The Calvert Journal. That said, some of the most memorable works were ones that shed light on the recent past of Latvia’s neighbouring countries. Indrė Šerpytytė deals with the sinister history of the Soviet secret services. 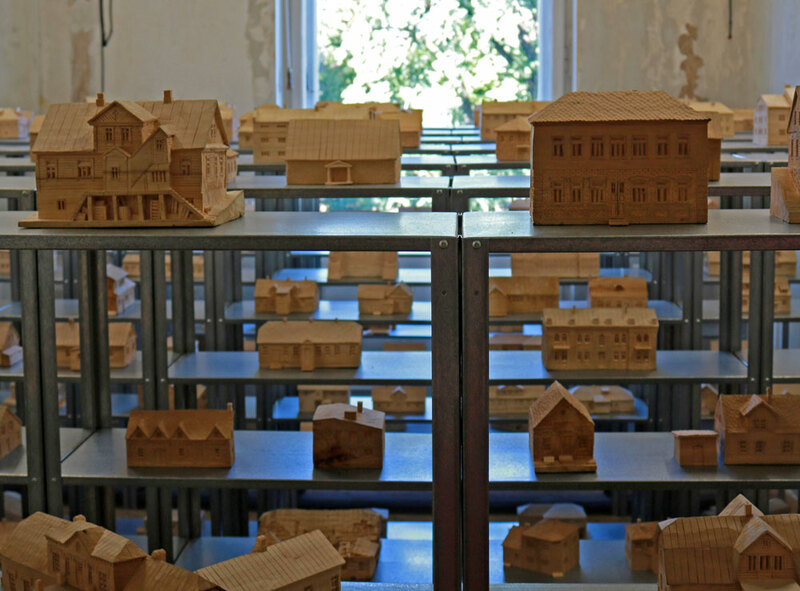 She collaborated with a traditional woodcarver from her native Lithuania to create model replicas of buildings once used for interrogation and torture for her ongoing installation (1944-1992) Former NKVD-MVD-MGB-KGB Buildings. 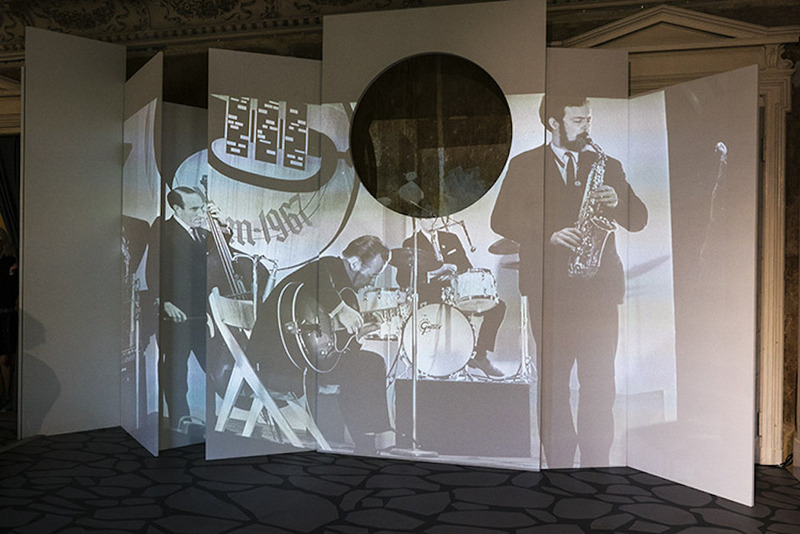 On a lighter note, Liina Siib’s installation, based on the research of Estonian musicologist Heli Reimann, explores Tallinn’s fascinating yet largely forgotten role as the jazz capital of the Soviet Union. The archive material centres on the Tallinn International Jazz Festival (1949-1967), which was the first event to host US jazz musicians in the USSR. It wouldn’t be a biennial without a derelict factory full of young arty types. 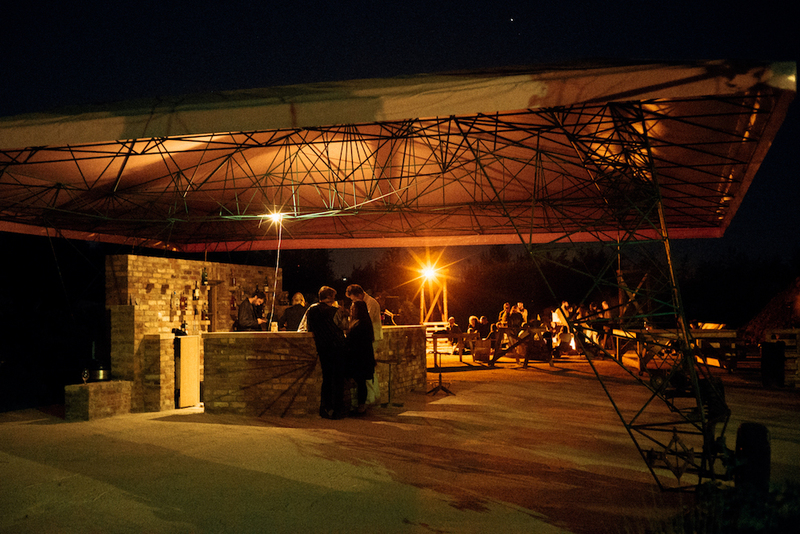 For RIBOCA, the former Bolshevichka factory will not only function as an exhibition space but will be hosting parties in its very own summer bar with a twist. The secluded bar has everything you expect from a pop-up at this time of year — plants, a volleyball court and a weekly rave. 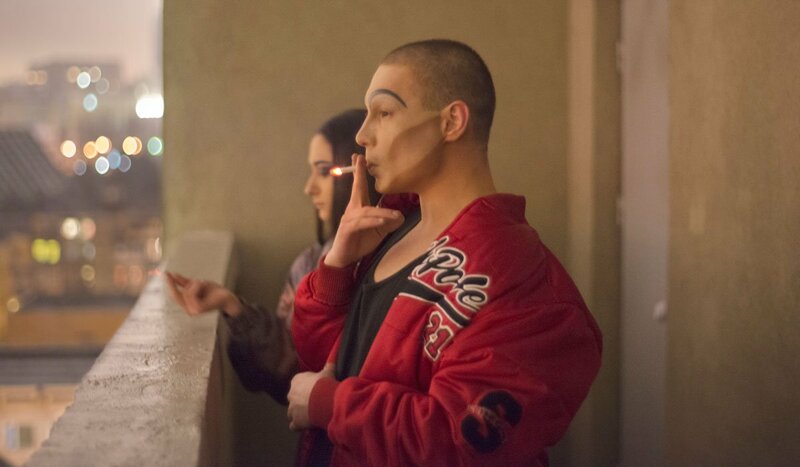 What makes this venue unique is that it’s built entirely of bricks taken from the surrounding ruins, which imbues it with a haunted atmosphere. 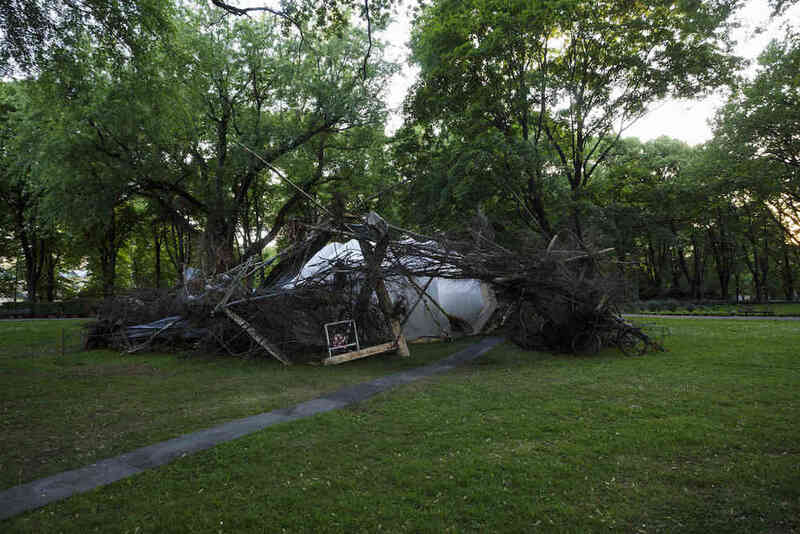 The structure is the one-of-a-kind creation of artist Andris Eglitis, whose studio is located among the factory grounds, and Martins Mielavs, co-owner of popular Riga hotspot Piens cafe. Soak up the traces of old Riga and grab a drink at the same time. For more things to see and do in Riga, download our New East Travel Guide app. For recommendation on where to stay in Russia and beyond, check out our edit of amazing hotels and hostels across the New East.